Our key covers are made with rubber-like vinyl. 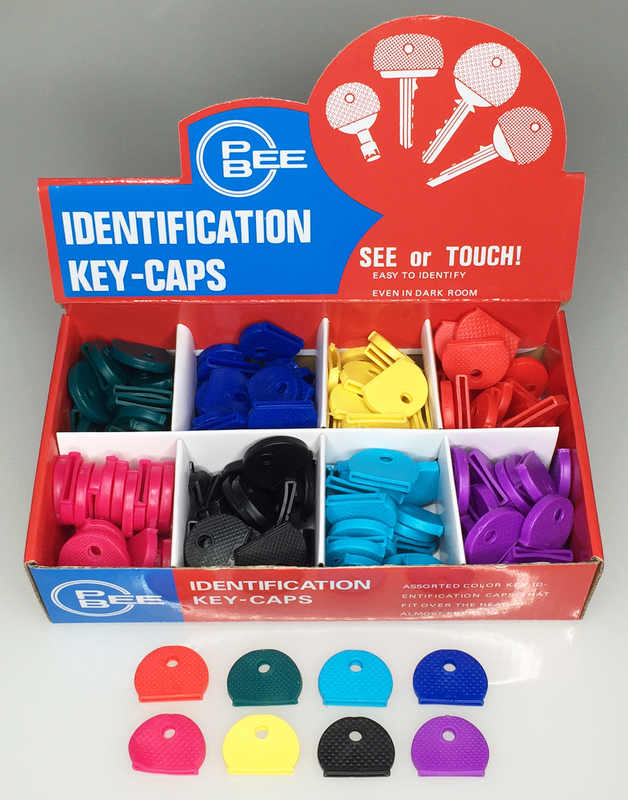 The covers will easily fit over the head of many different key blank shapes. 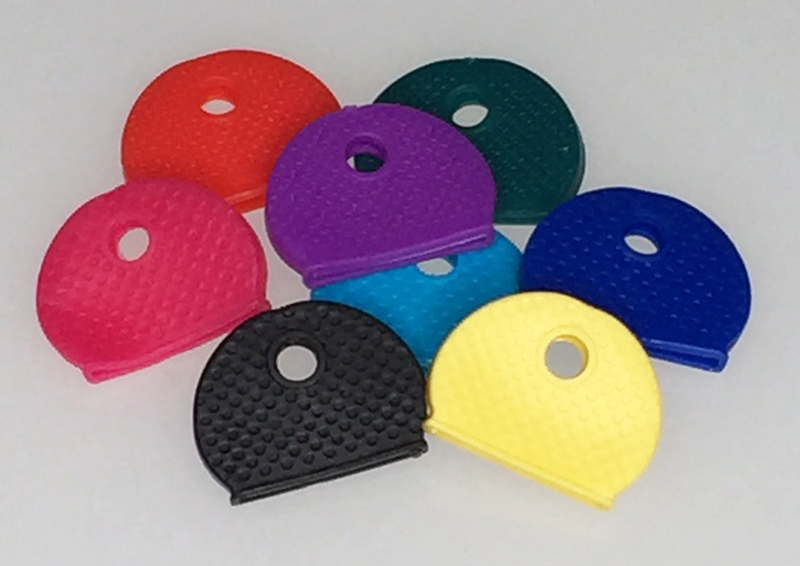 Available in our regular color assortment (Red, green, purple, yellow, black, raspberry, light blue and dark blue). These measure about 1 1/32" from the widest point. Packaging is 200/Display Box.